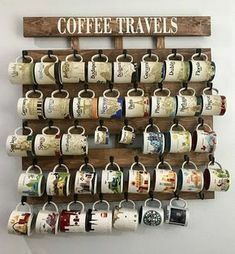 This is such an awesome idea. 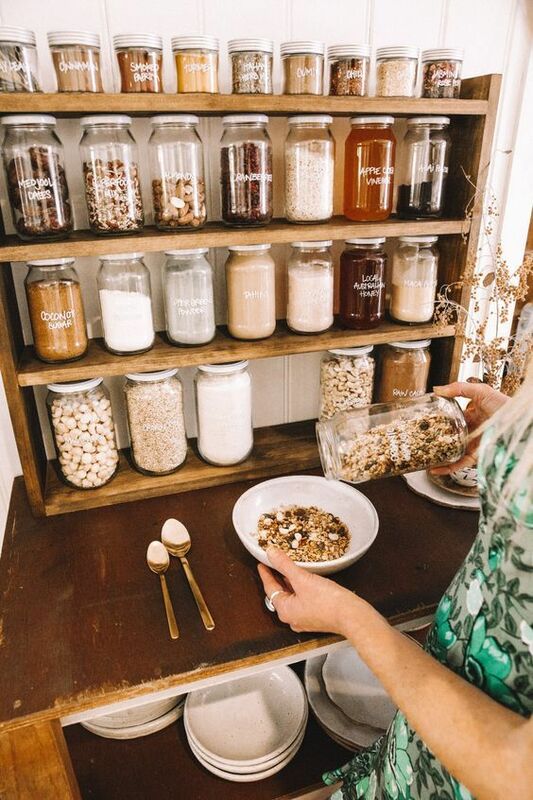 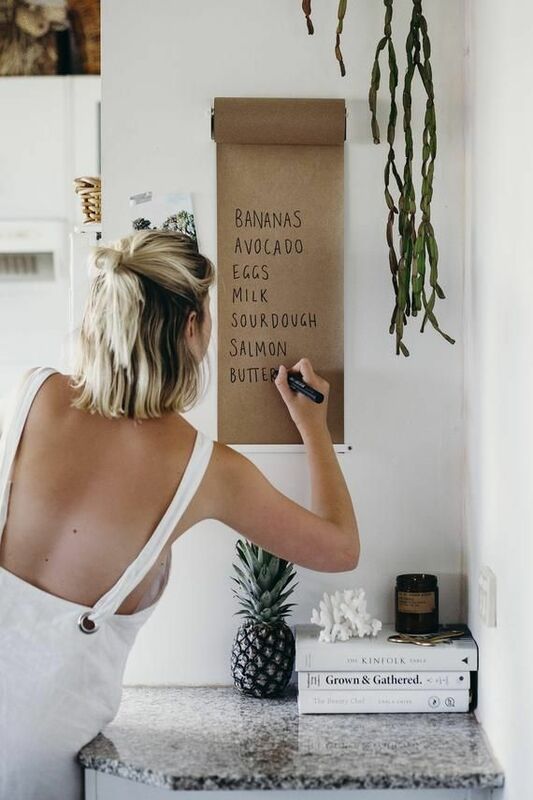 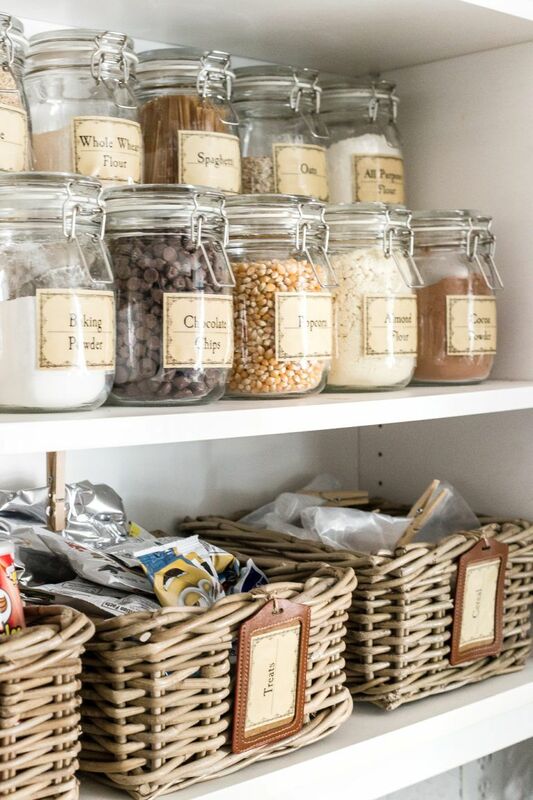 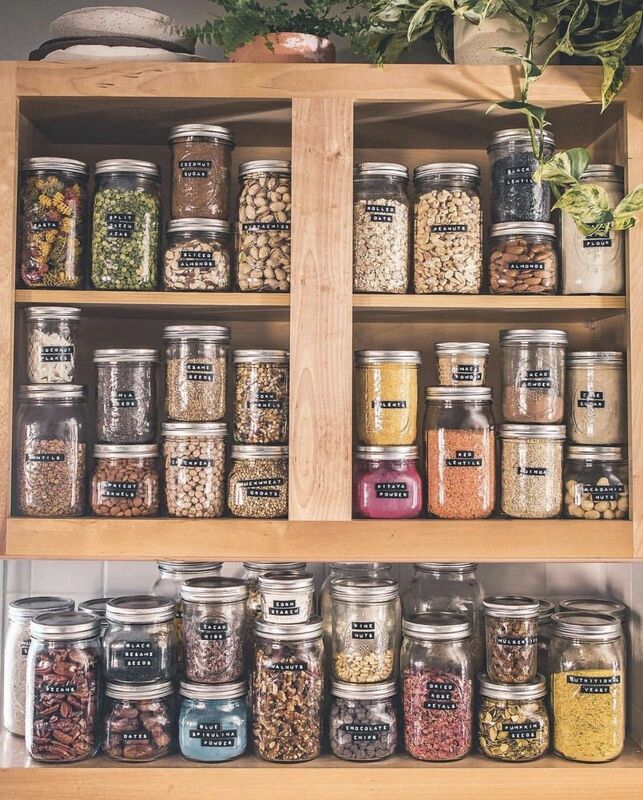 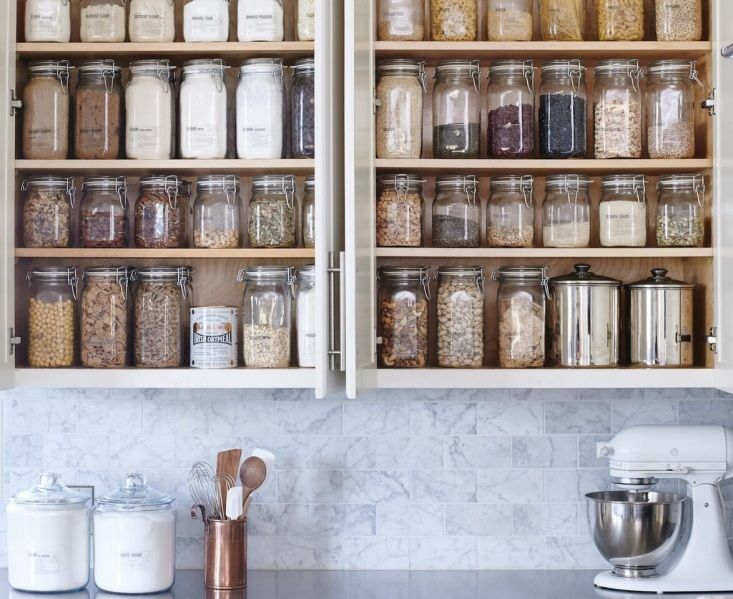 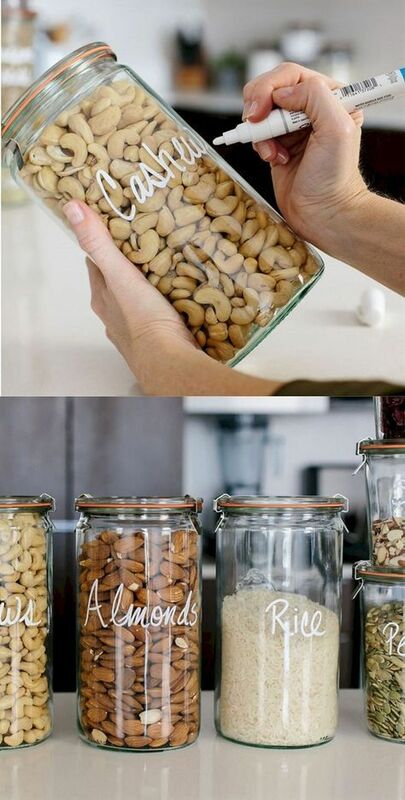 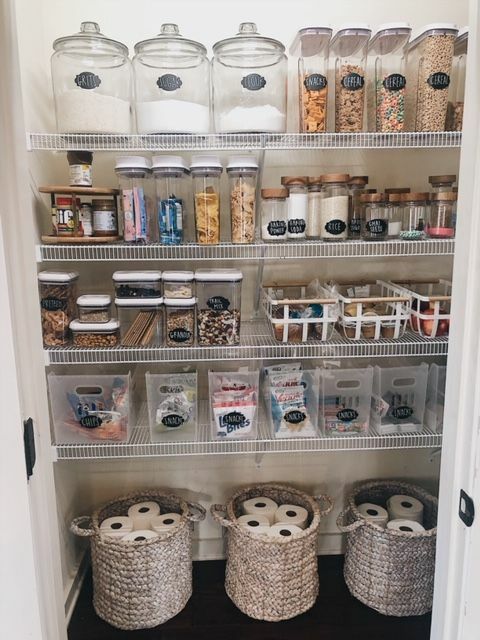 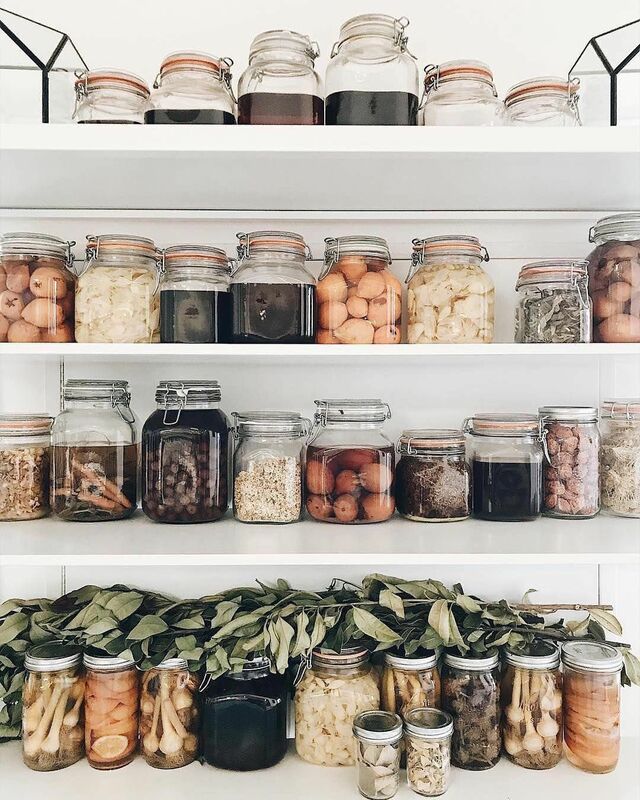 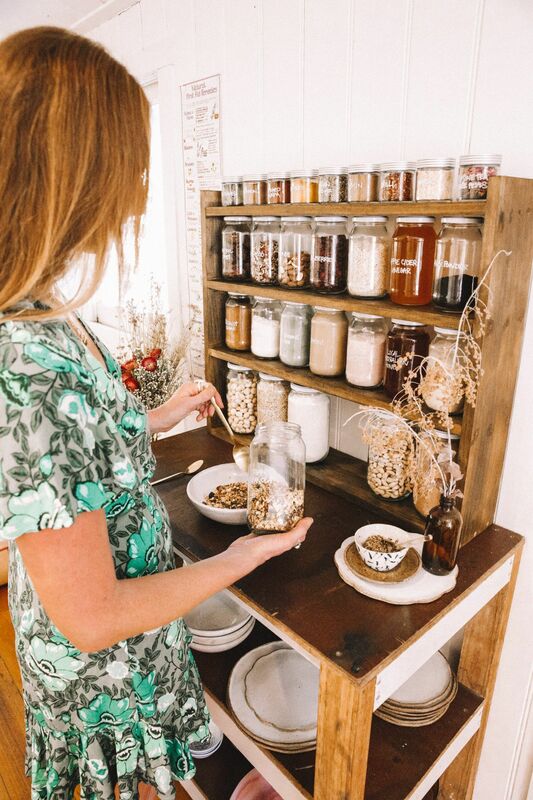 A DIY waste free pantry that doubles as cute kitchen aesthetic. 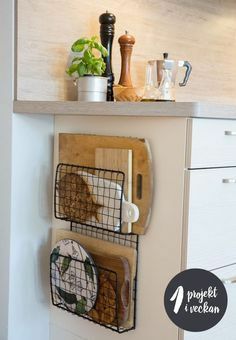 Ridiculously lovely looking - I wonder how practical it would be? 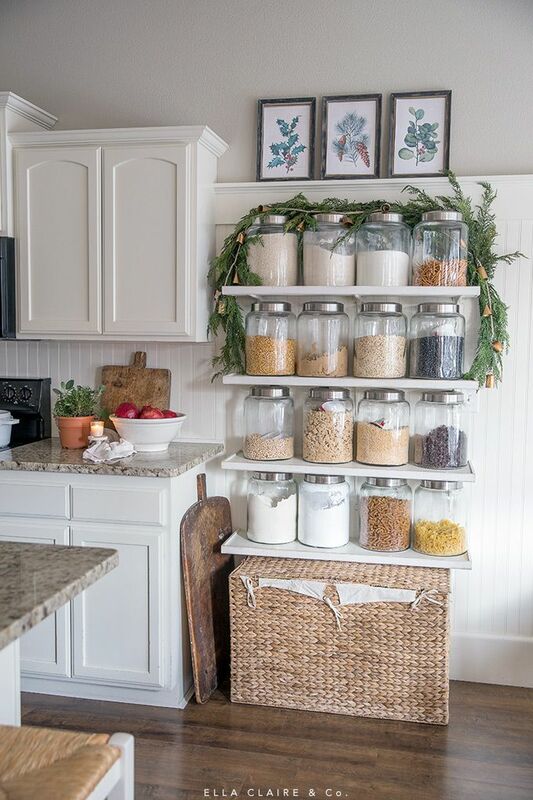 DIY shelves decorated for Christmas with garland and free printable vintage botanicals.